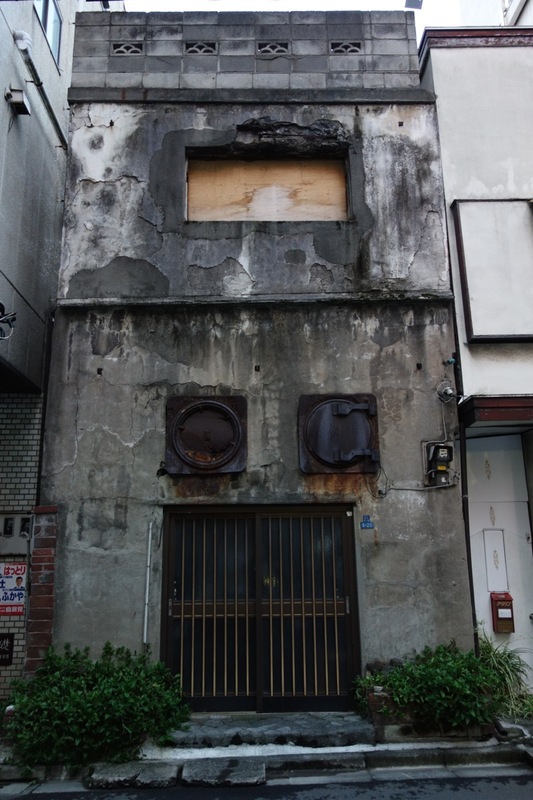 You pass this building so many times, on the west bank of the Sumida, heading south from Asakusa toward Kuramae. 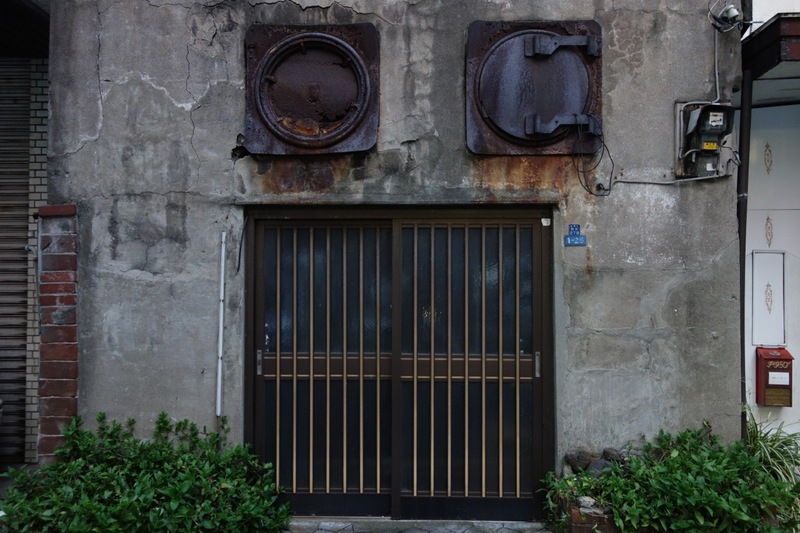 You’ve almost done pondering what the rusty iron doors could be for. You imagine one was for something going in, and the other for going out. Today there is a fellow taking photographs of it. You stop and ask him if he knows. But he is like you, it is a mystery. My name is Mark, you say. My name is Koala, he says. Like the Australian animal. Indeed it is. He gives you a namecard on which is written a character that reads ko, and one that says ara. Mr Koara has bicycled from Suginami-ku. That’s a long way west on this 30-degree day. It’s not so hard, he says. I go to Shinjuku, then Takebashi, where the Mainichi newspaper is, then around the Imperial Palace then to Kanda, Ueno and here! He says, I like to go around this area and imagine how it used to be in Edo times. And do you know, with the river, it’s much cooler than Suginami. And I tell you, he says as you say goodbye. That Imperial Palace moat is really something. It’s a major work, like the Great Pyramids. At least you know what it was for.